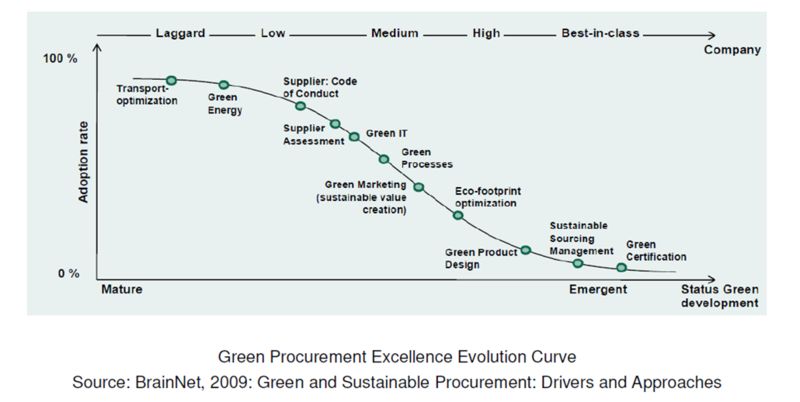 If you have been a frequent reader of this space, you’d know my position on Apple and the manner in which it’s conducted its supply chain sustainability programs…or hasn’t. Six months before that (nearly a year ago), I presented my thoughts about the IPEs report that leveled complaints against the IT/Electronics industry and the overall performance of nearly 30 major manufacturers and their respective key parts suppliers. The report focused on “the openness of IT firms and their responsiveness to reports of environmental violations at suppliers”. Concerns were raised in the report regarding levels of environmental toxins and pollutants being discharged in rivers and streams and into air sheds. Many people have asked me over the past half-year why Apple is being uncooperative or secretive. 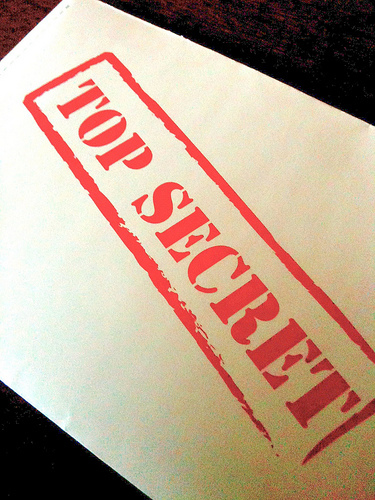 Well, “secrecy” has always been part of the Apple mystique, but of course so has evolutionary and disruptive innovation. The problem as I saw it then (and this thought has now been vindicated) is when it comes to corporate social responsibility and sustainability, transparency is the name of the game, not secrecy. I also suggested that Apples supplier network may be too big to handle and they lack the tools, systems and technologies to perform adequate supplier training and oversight. Combined with inconsistent Chinese regulatory agency oversight on its industrial manufacturers, this presented difficult challenges to a workable, and meaningful sustainable supply chain solution. But Nike did it, so why couldn’t (or wouldn’t) Apple, I asked? Gladly I am happy to report that Apple has wised up and stepped voluntarily under the glare of public scrutiny. 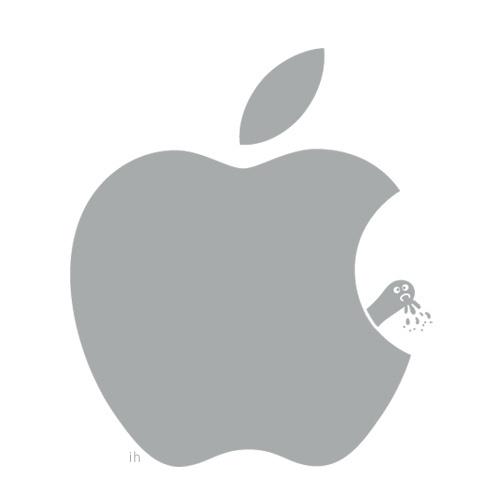 2012: Enter Mr. Cook…the New, Improved, Socially Responsible Apple? The 156 companies it lists alongside the report on its Supplier Responsibility website account from more than 97 per cent of what Apple pays to suppliers to manufacture its products. A complete picture of all the thousands of suppliers in Apples supply chain may be daunting, but at least the company has captured the suppliers where the “greatest spend” is. 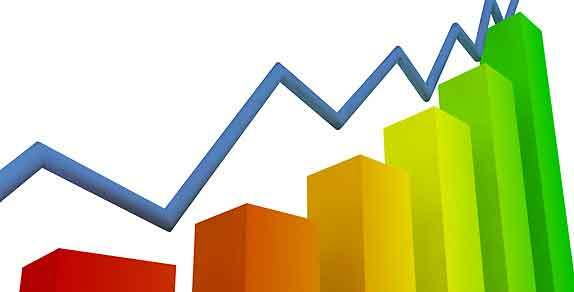 In 2011, we conducted 229 audits throughout our supply chain — an 80 percent increase over 2010 — including more than 100 first-time audits. We continue to expand our program to reach deeper into our supply base, and this year we added more detailed and specialized audits that focus on safety and the environment. Apple-designed training programs have educated more than one million supply chain employees about local laws, their rights as workers, occupational health and safety, and Apple’s Supplier Code of Conduct. We offer continuing education opportunities at our suppliers’ facilities free of charge. More than 60,000 workers have enrolled in classes to study business and entrepreneurship, improve their computer skills, or learn English. And the curriculum continues to expand. We’ve also partnered with some local universities to offer courses that employees can apply toward an associate degree. Either way, Apple will continue to be under watchful eyes, as environmentalist and labor activists continue to push for more reforms by American companies doing business overseas. Apple still will need to double down its efforts to respond more proactively to the many environmental impact related issues reported in the past by its major suppliers, especially in China. But for a company that has played its cards extremely close to the chest, it’s a major breakthrough, if time proves the intent to be true. Maybe Mr. Cook is the one “Good Apple” that will save the bunch. Let’s hope so. Feeling a bit like the holidays for sure. And I feel like humanity just got “scrooged”. A year ago, I wrote about the COP16 U.N. Climate Conference in Mexico City and how governments were playing “kick the can” with climate policy. I noted that there was “some progress on establishing more robust means to appropriate and distribute micro-finance funds to support development of technologies in developing countries that lack the dollars themselves to manage their own greenhouse gas footprints.” I also noted that many companies, rather than countries were taking unilateral initiatives to reach deep into their supply chain to develop innovative, new products that are less impacting to the environment and that can help developing-nations likely to be hit hard by global warming. 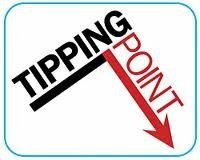 Based on what has (or has not) transpired at the recently wrapped up COP17/CMP5 in Durban the past two weeks, I am left feeling that global consensus on this issue, while not completely out of the question, is getting closer. But the incremental, baby step pace of progress is (according to most climate scientists) insufficient to avert seemingly unstoppable rise in year over year average global temperatures. It’s not the science that appears in question, rather it appears that there appears to be ongoing hesitancy to bear accountability and resolute responsibility on the part of those who carry or deny the mantle of developed nation status (hint: United States, China, India). Despite the last minute efforts of the 194 nations in attendance and working past the official end of the conference, hopes for a meaningful and comprehensive global agreement appeared to be faltering. As an example, the recent article in the Guardian stated that “The EU has found it hard to push through its “roadmap” that would establish an overarching, legal agreement committing all countries to emission cuts”. So, the EU got what it wanted. Also, according to an African delegate, “The US has what it wants. There is no guarantee that the new agreement will legally bind governments to cut emissions.” The U.S. indeed got what it wanted. China and India continue to maintain they are still too undeveloped on the whole to be accountable in the same manner as western, industrialized nations and also claims they are implementing what they have already pledged to do at prior UN conferences. Um…show me. The one big victory I did hear that came out of the past two weeks was on an agreement on establishing a $100 billion/year climate fund to help developing countries address climate change. But before we celebrate that breakthrough, there’s a small outstanding issue …there is no clear mechanism for how that money will be raised. In the recent words of GOP candidate Gov. Rick Perry… “Oops”. In addition, rich countries would be allowed to offset their emissions by making payments to poor countries which protected their forests. Is this a bilateral effort or are poorer counties expected to bear 100% of the burden of making that happen. What is thought to be enough isn’t. Tim Gore, policy adviser for Oxfam, stated “Governments must really get to grips with the climate crisis.” That’s an understatement if I ever heard one. Gore summed up his take on the winners, losers and likely impact on the poorer nations here. 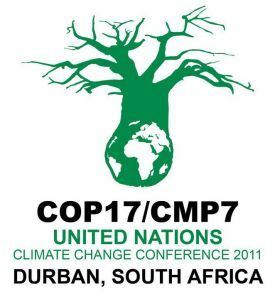 So, while COP17 by most measures succeeded where prior UN gatherings failed, the agreements on which progress will be measured (using the 2015 and 2020 yardsticks established at Durban) may not be swift enough to stem the slow bleed that climate change is bringing on around the world. Going into the climate conference, two key supply chain sectors, aviation and shipping, were targeted for discussion. According to the Civil Air Services Navigation Organization, “After a number of days of tough negotiations on aviation, there was still no decision on some of the key aspects of Common But Differentiated Responsibilities (CBDR) and how they relate to aviation and shipping, and the ability for countries negotiation under the UNFCCC to tell negotiators at ICAO what to do. Basically, there was no agreement was reached …end of story. That being said, I have written countless posts on the administrative and technological advances underway by large intermodal shippers and transporters and the aviation industry to quell fuel use and has been exploring how to develop sustainable aviation biofuels, including in developing countries to meet the Climate Fund goals established in Durban. Aviation and transportation stakeholders have concluded that “agreement amongst nearly all countries [is] that [International Civil Aviation Organization] ICAO is the most appropriate place to deal with aviation emissions. The industry will continue to engage with ICAO to ensure that an ambitious work program can deliver an outcome on aviation emissions by the next ICAO Assembly in 2013”. The Durban Platforms emphasis on more dialogue, more planning and lack of clear immediate is tragic. Not for the planet. No sane person can look me in the eye and say with a straight face that seven billion people, with all their wants and needs, have not affected the global ecosystem. But despite all the perversities and ravages that we’ve inflicted on Earth, the planet will survive. But for us, the larger mass of humanity, we hold our own fate in our hands …and we are blowing it. Why? Because there are nations (the EU, United States, China and India among them) that cannot…or will not…move past their “self interest”. They are just kicking the can down the road. In 1968, ecologist Garrett Harding published “The Tragedy of the Commons in the journal Science. I was introduced to Hardin’s theory many times during my undergraduate and graduate environmental law studies. His highly controversial and criticized theory presented a hypothetical situation involving herders sharing a common parcel of land, on which they are each entitled to let their cows graze. Hardin theorized that it was in each herder’s “self interest” to put more cows onto the land, even if the quality of the common is damaged for all (through overgrazing). 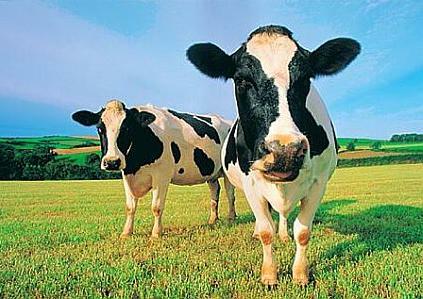 The herder receives all of the benefits from an additional cow, while the damage to the common is shared by the entire group. Further if all herders make the same choice, the common will be depleted or even destroyed, to the detriment of all. Systems ecologists called this an exceedance of “carrying capacity” resulting in other tragedies likie overfishing, depletion of forest resources, water supplies and arable land. And while the acts of an individual or one corporation may singularly have little impact, the cumulative effect can be overwhelming and often leave irreversible impacts. Hardin’s theories have been widely criticized from an economic point of view. Political scientist Elinor Ostrom, the first woman to win the Nobel Prize for Economics (2009), showed that the “Tragedy of the Commons” (its overuse and destruction) doesn’t happen, at least when all the people who share the commons can get together and talk about it. Ostrom found that, when there are no internal or external forces preventing the “commoners” from a free, open and robust discussion of how they should agree to govern and limit their use of it so it doesn’t get overgrazed and thus ruined for all, then the commons goes on thriving. I believe now, as I believed and wrote about during COP16 in Mexico City and after COP15 in “Nope”nhagen that governments were putting off today what we can technologically achieve now. What happened? Has humanity lost its mojo…or is something else going on? In a fascinating article by venture capitalist Roland Van Der Meer, Holding Off the Tragedy of the Commons, he describes some of the underlying factors that he believes have contributed to the global decline in natural resources, and lack of environmental stewardship…and it comes down to innovation. Both governments and corporations are institutions that exist for the reason of self promulgation, actualization, and advancement (to further itself, to continue to exist, to not change). The methodologies that they deploy and back is their best practice, it is what they believe, what they will hold on to and how they will exist and thrive. And this is the failure point. It is not meant to change. Its very survival depends upon the lack of change. What is missing is a catalyst for change. Why change? Because what worked best 100, 50, 20 or even 10 years ago is no longer the best methodology or practice. The institution is good at doing what it was designed to do and it stubbornly holds on to that design at the expense of its own destruction or the method it protects. Change is needed. The incumbent companies and regulations are stuck in a process and framework which prevents and disincentivizes change. They even go further to lock out or block change because it would lead to their own destruction…. it is our collective resources that are at stake. We need to be open and create the new enterprises that will create, invent and adapt in the basic resources areas. I believe, as do organizations like the Responding to Climate Change (RTCC) that the private sector can “pick up the slack” in tackling climate change where government agreements have (up to this point) failed. However, to effectively incentivize innovative technologies, the private sector must continue to be a part of the larger policy debate. There is a way out of the mess we have made and one of my personal life influencers, Amory Lovins, has a plan. In his new book, Reinventing Fire- Bold Business Solutions for the New Energy Era offers “actionable solutions for four energy-intensive sectors of the economy: transportation, buildings, industry, and electricity”. The Rocky Mountain Institutes Lovins states “business can become more competitive, profitable, and resilient by leading the transformation from fossil fuels to efficiency and renewables. This transition will build a stronger economy, a more secure nation, and a healthier environment.” Imagine if this approach can be applied at a global level, with a combination of government/business and monitored, measurable multi-national collaboration and a collective common conscience. What have we got to lose? When it comes to real action on climate change, the upside of heretical innovation is huge…and the downside unthinkable. Here we go again. Six months ago, I presented my thoughts about a report by Chinese NGO Institute of Public and Environmental Affairs (IPE) that leveled complaints against the IT/Electronics industry and the overall performance of nearly 30 major manufacturers and their respective key parts suppliers. The report focused on “the openness of IT firms and their responsiveness to reports of environmental violations at suppliers”. Concerns were raised in the report regarding levels of environmental toxins and pollutants being discharged in rivers and streams and into air sheds. Worker complaints about unsafe working conditions and acute health problems were presented. The IPE gave opportunities to every company referenced in the report to initiate an open and two-way dialogue, and most did …except Apple Electronics. According to the report, Apple was more secretive about its supply chain than almost every other American company operating in the China. Apple came up among the laggards among 29 major electronics and IT firms in a transparency study drawn up by a coalition of China’s leading environmental groups. These are the iPad and iPod guys for crying out loud! The evolutionary wizards who have shaped and fundamentally changed the way that most consumers behave, work, interact and get on with their daily lives. Those guys who at one point this summer became the wealthiest company in the United States…this before iconic CEO Steve Jobs retired. “… any company that produces a large amount of hardware must bear the responsibility for the environmental and social costs incurred during the manufacturing process. Secondly, the suppliers who violate the standards for levels of pollutants emitted and who ignore environmental concerns and workers’ health do these things with the aim of cutting costs and maximizing profits. So What’s Wrong With Apple? Apples image problem appears to be getting worse before it gets better and it may be more than just a public relations problem; and it’s not just in China that Apple is facing criticisms. Apple, like most consumer electronics manufacturers is a major user of highly sought after precious minerals, many of them associated with conflict areas (so-called ‘conflict minerals’). Apple in fact sources tin from 125 suppliers that use 43 smelters worldwide. That’s an awful big challenge from a supply chain management perspective. But Apple was still a bit slow to step up like other key IT companies like Dell and Intel and collaborate with the Electronics Industry Citizenship Coalition in developing a framework to address conflict mineral traceability. Further complicating the issue is the sheer size of Apples supply chain and the general difficulty that comes in managing dispersed multi-tired supply chains in other countries. In an excellent piece published in GreenBiz this week, Environmental Defense Fund Project Manager Andrew Hutson suggested that “If you’ve got an office in Shenzhen or Hong Kong, it’s very hard to keep tabs on the perhaps thousands of factories you have across China in any given moment”. The article went on to discuss how scrutiny can sometimes lead contractors to move factories to more remote areas, farther away from watchdogs, suggesting that “the sheer distance from headquarters created by chasing low-cost labor to developing countries can effectively reduce accountability”. While cheap labor in far off lands certainly has its benefits, clearly it has its disadvantages and Apple is paying the price. Many people have asked me over the past half-year why Apple is being uncooperative or secretive. Well, “secrecy” has always been part of the Apple mystique, but of course so has evolutionary and disruptive innovation. The problem is when it comes to corporate social responsibility and sustainability, transparency is the name of the game, not secrecy. In this “WikiLeaks” world of ours, mystique only gets companies mired deeper into areas of suspicion and distrust. But perhaps there is more to the issue to noodle on. Is it entirely possible that Apple isn’t ignoring the problem, but rather its supplier network is just too big to handle and they lack the tools, systems and technologies to perform adequate supplier training and oversight? Or is it that Chinese regulatory agencies also lack the resources or institutional oversight necessary to monitor compliance over in-country industrial manufacturers that service multiple consumer brands? Or is it possible that as consumers our insatiable appetite for Apple products is partly responsible for creating such high demand that Apple must reach out to hundreds if not thousands of suppliers to fulfill its orders and keep Apple product lovers happy? 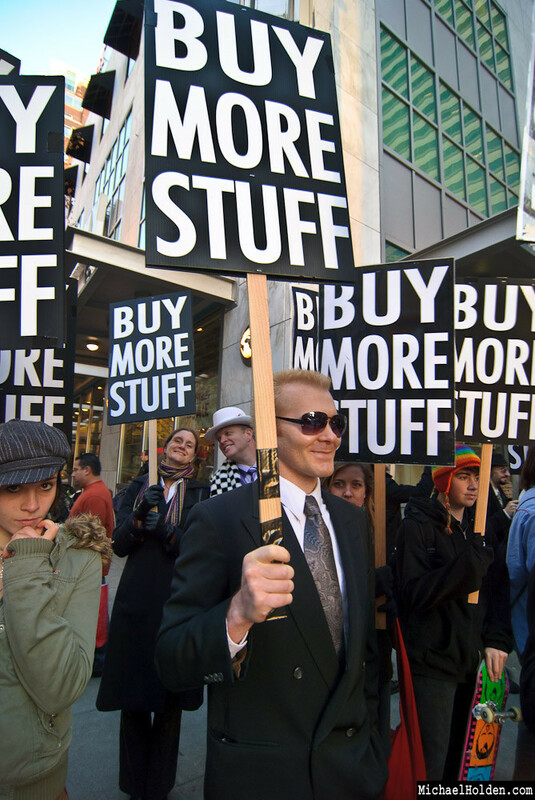 Or is the problem a combination of rampant, unsustainable consumerism, poor regulatory oversight, a supply chain ‘gone wild’, AND a deviated moral center on the part of Apple (as the IPE suggests). You see, its complicated and maybe, just maybe, we should all take a close look in the mirror and question our own culpability in this mess. For any of my dedicated readers, I am by no means being an apologist for Apple. You all know where I have stood in the past by constructively calling for Apple to step up and be as evolutionary on corporate social responsibility and sustainability matters as it is with its products. I noted in my prior post the many key steps that Apple can and must take to effectively make a difference in its supply chain. In addition Treehugger writer extraordinaire Jaymi Heimbuch offered some outstanding advice to new CEO Tim Cook, not the least of which was “requiring transparency in the supply chain and being more direct with suppliers about standards”. My advice is simple Mr. Cook: show humility, take responsibility, and act swiftly and collaboratively. Rest assured there are more activist organizations shaking Apples tree. And what I fear (as Apple should too), is that one day all that shaking will bring that big old tree down. This week has been all about “R-I-S-K”. Risk that my three flights around the globe to South Africa will be on time. Risk that my luggage will accompany me. Risk that I will meet my driver. Risk that he will be a safe driver, negotiating darkness and harrowing roads full of heavy trucks travelling between Durban and Johannesburg. Risk that my digestive system can handle all the amazing foods I’ll sample while at the NOSA-sponsored NOSHCON 11 conference. Risk that my talk on integrated sustainability management systems will go off without a hitch. Risk. We all live with risk and all are in position to control and influence its outcome. This week’s conference was devoted to exploring risk in the workplace and its related effects on worker safety, health and environmental impact. South Africa is the perfect place to explore this issue, because of all of the social, political, economic and workplace/environmental challenges that this special country has endured over the generations. 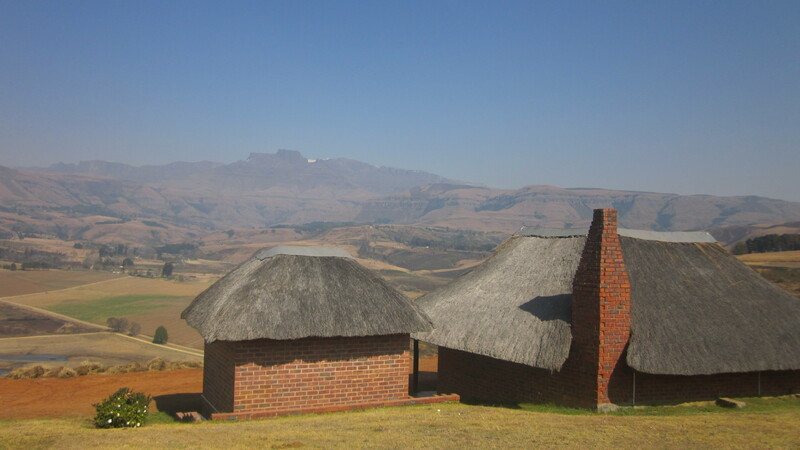 Throughout the two-day conference I have become painfully aware of the risks that exist amid the beauty of the KwaZulu Natal and Central Drakensberg region of South Africa. This great place of beauty has seen wars fought over land and water for thousands of years and countless generations, between indigenous tribes first, then between the Zulu and the Dutch Afrikaners, then the British and Boers and finally blacks and whites through the practice of “apartheid”. This place has seen the likes of King Shaka, Gandhi and Mandela walking its ground. This is historic ground where people took incredible risks to protect what they believed in, and suffered enormous costs and joyous victories. I won’t use this space to opine on that matter just to say that issues run deep and wounds take generations to heal. But all citizens of the Rainbow Nation are trying their very best to level the playing field. But all along the way, all the players in this real life drama have had to manage risk. 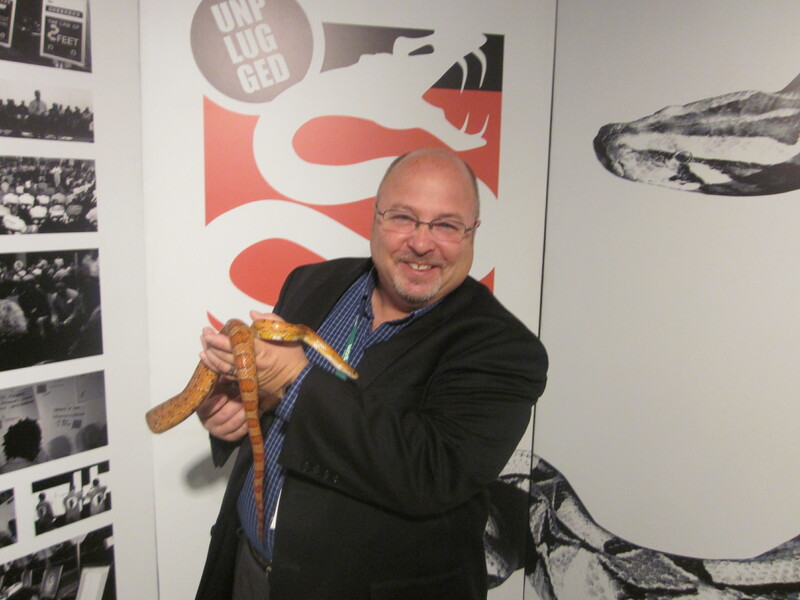 To illustrate how risk is all around us in the workplace and at home, NOSHCON brought out the snakes…yes, snakes. Not the safe variety…I mean the pythons and puff adders. Through a safety company called Unplugged Communications, the idea of “Snakes for Safety” was presented to a fascinated, but somewhat skittish audience of 600. The analogy is that puff adders are like accidents waiting to happen…they hide, camouflaged in the bush and only strike when you are right on top of them. By then the damage has been done, injury’s result (and it the case of the puff adder, you have seven minutes to call a loved one and say goodbye!). Cobras on the other hand represent a hazard that is harmless when small, but if left unchecked, the hazards can grow to an unmanageable point when great harm can occur. Snakes. Risk. Managing the basics of health, safety and the environment (HSE) in developing economies like South Africa is foremost in businesses minds and correctly so. My talk focused on integrated management systems and how they can leverage risk and liability and support sustainability in the business marketplace. The audience was attentive to be sure, and I listened and observed NOSHCON delegates listen to several other fantastic presentations on corporate social responsibility, carbon management and sustainability. My impression however is that while there are pockets of excellence in sustainability focused companies, South African businesses are just beginning to think about sustainability as a value-added aspect of their businesses. Perhaps rightly so, many companies in the mining, agricultural and heavy industry sectors continue (especially the majority small to medium-sized and under-resource companies) are focusing on the basic critical issues of life safety in the workplace, education and meeting basic environmental compliance operations first. To meet this pressing need, organizations like NOSA have developed world-class frameworks of occupational, health, safety and environmental risk management. And despite rampant complaints of lax enforcement of labor and environmental protection laws, the South African government has implemented its King III corporate governance policies (similar to the U.S Sarbanes-Oxley provisions) that recognize CSR and reporting obligations. I am firmly of the belief that companies must take care of these basic HSE issues and lay a firm foundational framework for continual improvement first before they can progress along the sustainability journey. The central themes I heard about how this can be accomplished are through increasing monitoring, education, awareness building, management accountability and trust. 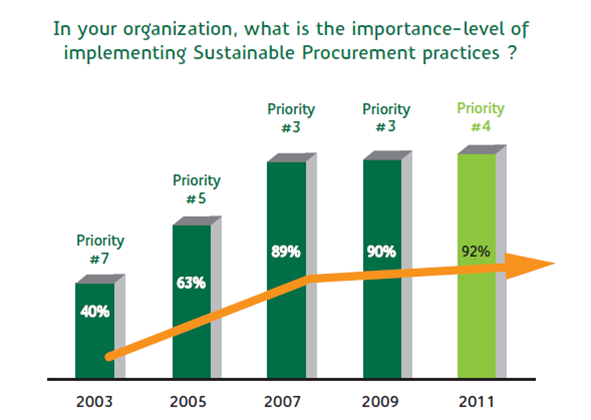 Regarding sustainability, it makes little sense force feeding a business approach that has little immediate bearing on managing organizations immediate risks. One must be able to manage the snakes; you know….one by one and step by cautious step. Be patient South Africa. You have such great resources, professionals hungry to learn, and have fantastic opportunities to excel in the sustainability space in the years ahead. I have been truly blessed and humbled to have been able to participate at NOSHCON and hope to be able to hear of great things coming out of South Africa in the coming years. “Baie Dankie”. “Ngiyabonga kakhulu”. Thanks very much! Ray Anderson died this week. Most of us in the business just called him “Ray”, because he really was such an approachable guy. 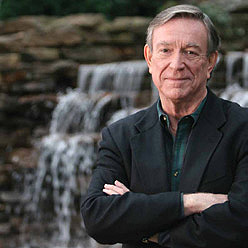 I saw him speak in San Diego three years ago, and even to a business green business veteran like me, he was sage-like. To most outside the world of sustainability in business, the name hardly rang a bell. But to those of us within its three concentric circles, Ray was an icon. As many know, Ray Anderson ran InterfaceFLOR. As the leader of a major global carpeting brand, which at that time relied on heavy use of industrial chemicals, hydrocarbon based products, energy and water use, InterFaceFLOR, like other carpet manufacturers was enduring a major challenge to rethink how its products were being made. By the mid 1990’s when Ray had become the company’s CEO, more customers were asking questions about the company’s sustainability efforts. In 1994, Ray had an awakening of sorts (his so-called “point of a spear into my chest” moment), when after having a number of meetings and discussions with his staff and reading Paul Hawkens the Ecology of Commerce, he became an enlightened, radical industrialist. He had come to the conclusion that the environment was at risk and a lot of that was caused by industry and companies such InterfaceFLOR that were based on petrochemicals and energy. Ray was simply on a mission- for InterfaceFLOR to not only cut waste, but to be a leading, responsible business. He became the face of the “radical industrialist” (the title of his last autobiographical book which I received signed by him just two months ago is called Confessions of a Radical Industrialist) and in 1994 launched InterfaceFLOR into a first mover role to reduce its environmental and social footprint. The data is quite extraordinary in the 17 years since the company launched its many environmental initiatives. Of course, Ray started with a plan- one that by necessity started small- but was across the board, an overhaul affecting every link of the supply chain. Ray also smartly knew that go get his shareholders on board, he needed “obliterate costs/footprint associated with waste; silencing the shareholders that were uncomfortable with the risk involved with completely revolutionizing your company”. Rays efforts were noticed for sure. Time Magazine featured him in an article this past spring and Fortune Magazine called him “America’s greenest CEO”. He went out and “evangelized” over 150 times a year, until his fight with cancer started to finally slow him down. The awards and honors bestowed on Ray and the companies over the past two decades are too many to mention here. Recently, Interface ranked 11th worldwide in the 2010 Sustainability & Innovation Global Executive Study & Research Project by MIT Sloan Management Review and The Boston Consulting Group. 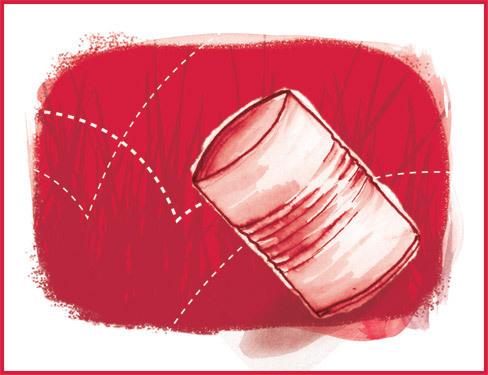 They ranked second behind Unilever in the 2011 Global Sustainability Leaders Survey from GlobeScan Inc. and SustainAbility Ltd. Suffice it to say though that InterfaceFLORs efforts disruptively changed the way the carpet, building materials and textile industry operate today as compared to 20 years ago. You see, for the past 30 years I’ve been evangelizing like Ray for organizations to make “the business case” on behalf of reducing waste of any kind (be it over-consumption, generation of waste, human productivity waste, etc) so the bottom line is optimized and employees, communities and the environment are protected. To me it’s a “no brainer” and for folks like Ray it took an epiphany to make that realization. Since Ray’s awakening in 1994, and especially in the past half decade or so, more CEO’s and manufacturers with local to global reach are coming to their own realizations and drawing their own conclusions. 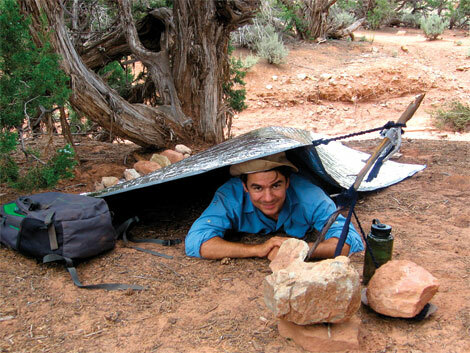 Ray stepped out of his comfort zone to challenge the status quo. He forged a new business normal that called for a respect of the land, responsible use of resources, smart design and innovative end of life (cradle to cradle) management of products. Mission Zero will continue for the many thousands of employees of InterFaceFLOR around the world- all because of one man’s vision. All because of Ray. As Ray said back in 2008 when I saw him, “There are noble fortunes to be made in the transition to sustainability.” That inspirational quote stands right up there with my son’s from back in 1991 when he introduced me to his pre-school class as the Dad who “saves the planet”. 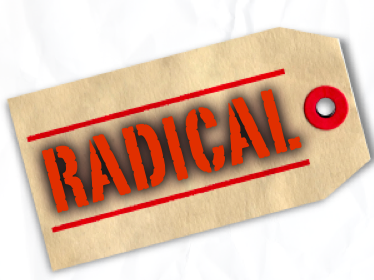 Sometimes, being radical is not such a bad thing. Mr. Anderson…er, Ray, thanks for all the inspiration- this one’s for you.